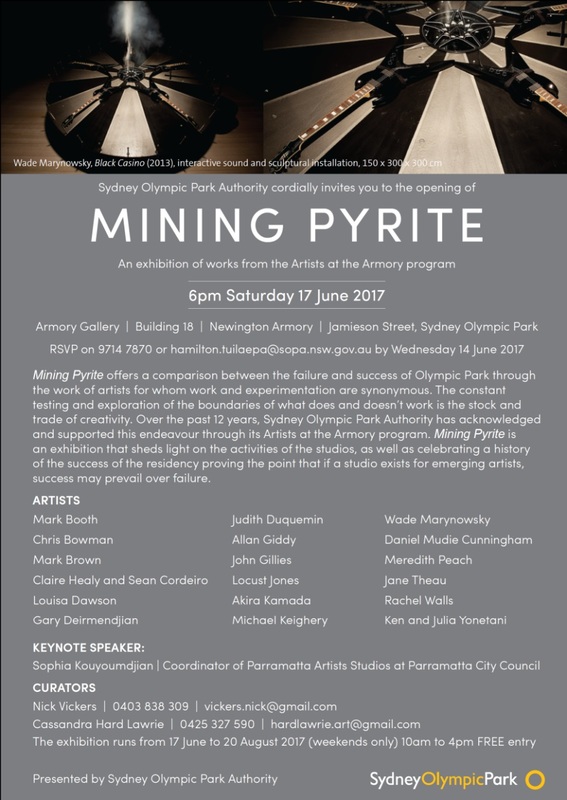 Last Group Exhibition, Sydney. Mining Pyrite. Newington Armory Gallery, Sydney. Curated by Nick Vickers & Cassandra Hard Lawrie. The use of geometric code in painting can manifest in a variety of ways. 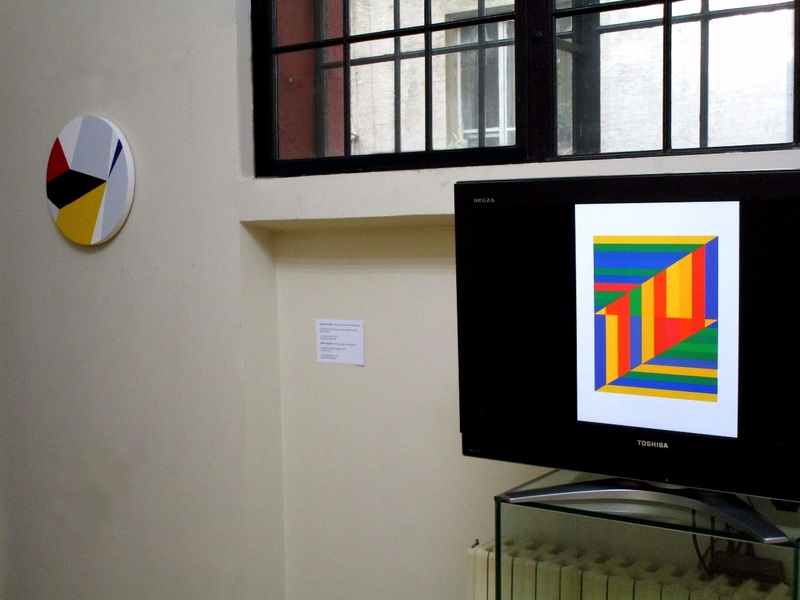 The two works presented for Orthogonal16 are a digital loop animation, and a 40 cm. acrylic canvas painting on a customized round stretcher. ATCG Reproductions (2017) is a diffusion of superimposed human DNA code that produces subtle primary, secondary and tertiary additive colour shifts. The eleven digitally programmed variations of DNA protein (Adenine, Guanine, Cytosine and Thymine) are reconstructed rectangular, hard-edge paintings of red, green, blue and yellow vertical and horizontal stripes that meet randomly on a staged diagonal. Mondrian for Space Travellers (2017) is a round, multi-dimensional, tessellation that appropriates a Mondrian palette of red, blue, yellow, white and black. Unlike Mondrian’s flat grid paintings it employs a mathematically coded, irregular grid that eliminates the notion of horizon (horizontal) and it’s human gravitational counterpart (vertical). 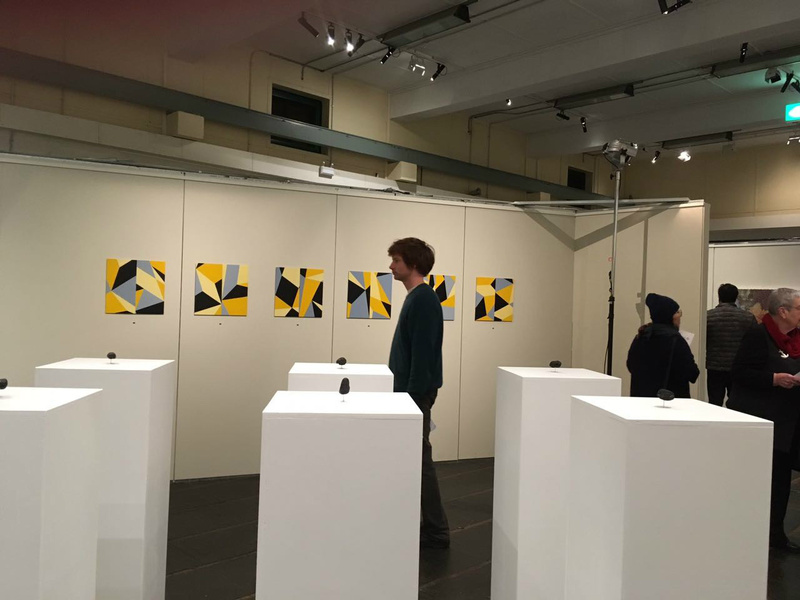 Each work supports a self-organising, non-objective approach to asymmetric pictorial composition through the use of creatively researched geometric code. 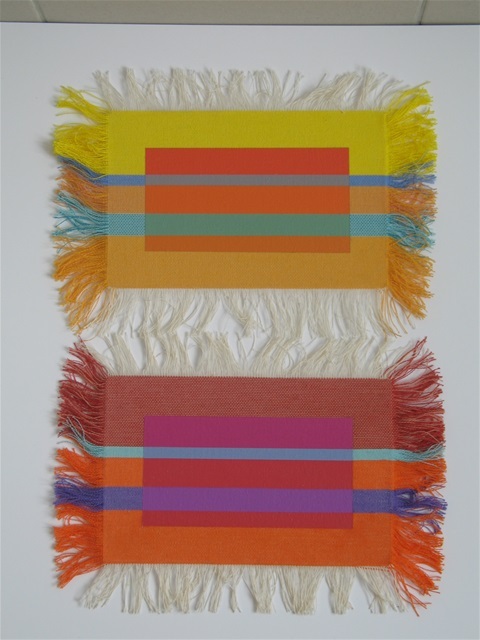 Each are an example of the artist’s non-stylized, experimental approach to contemporary abstract painting. Judith Duquemin était en résidence au Mas en mars 2016. Artiste australienne résidant en Angleterre, elle travaille sur la perception visuelle de la couleur. Durant sa résidence au Mas, elle a peint une série de pièces qui font l'objet d'un partenariat avec une école supérieure australienne en sciences cognitives. Ses toiles y seront exposées et leur motif sera également repris pour être recomposé dans l'espace architectural de l'école. Dans cette série, Judith s'est appuyée sur les géométries euclidienne et arabe, afin de construire sa composition. Une pièce de la série des toiles réalisées pendant la résidence, peinture acrylique, 30 x 60 cm env. Un morceau de Toile du Soleil peinte pour le Mas, peinture acrylique, 18 x 20 cm env. The art works of Judith Duquemin and the images of works shown on this website are the subject of copyright. The copyright of works remains with the artist and any use of an image of a work is subject to agreement with the artist. You should not reproduce any image without the explicit prior written consent of the artist. Sometimes I dream of a work of really great breadth, ranging through the whole region of element, object, meaning and style. This I fear, will remain a dream, but is a good thing even now to bear the possibility occasionally in mind. Nothing can be rushed. It must grow, it should grow of itself, and if the time ever comes for that work - then so much the better! From Centre, curated with Saturation Point Projects, is a group exhibition which surveys contemporary approaches to reductive geometric painting, drawing and sculpture. Spanning several generations of artists, born in every decade from the 1930s to the 1980s, From Centre makes the case for the growing relevance of abstract art in the UK today. 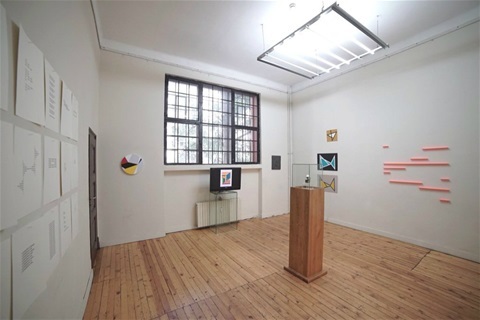 The exhibition is especially marked by the legacy of the Systems Group and European Constructivism, as well as a number of direct pedagogic connections from Tess Jaray’s tenure at the Slade and Peter Lowe’s at Goldsmiths. Making use of all three floors in a converted laundry factory, the works exhibited expand on the notions of architecture, space and surface, and span the spectrum between systematic and intuitive approaches. 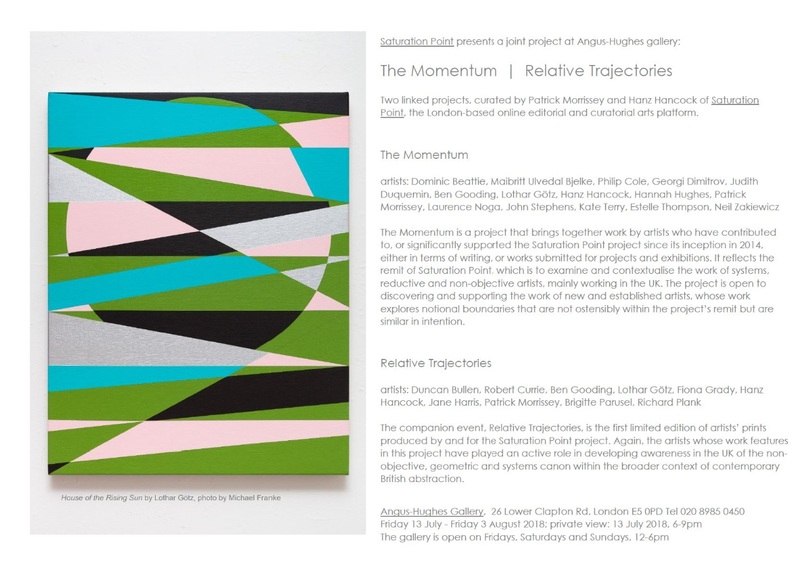 An illustrated catalogue with essays by Nathan Cohen, Laura Davidson and Alex Meurice will accompany the exhibition. From its Edwardian beginnings to the turn of the twentieth century, the Loud & Western Building was home to one of London's largest commercial laundry operations, Sunlight Laundry. During the Blitz, the building served as a volunteer sand-bagging centre and today is in the process of being converted into residential apartments. Saturation Point is an online editorial and curatorial project for reductive, geometric and systems artists working in the UK: click here to read more. NEWS. 'Lignes et Paysages'. 2013. 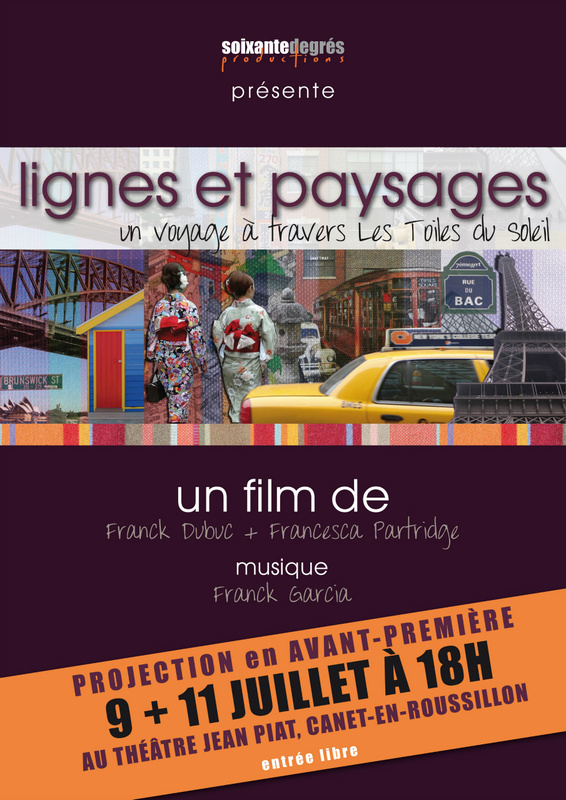 Produced by 60 Degrees Productions, France. The documentary includes an interview with myself in my studio at the Cite Internationale des Arts Paris in 2012.